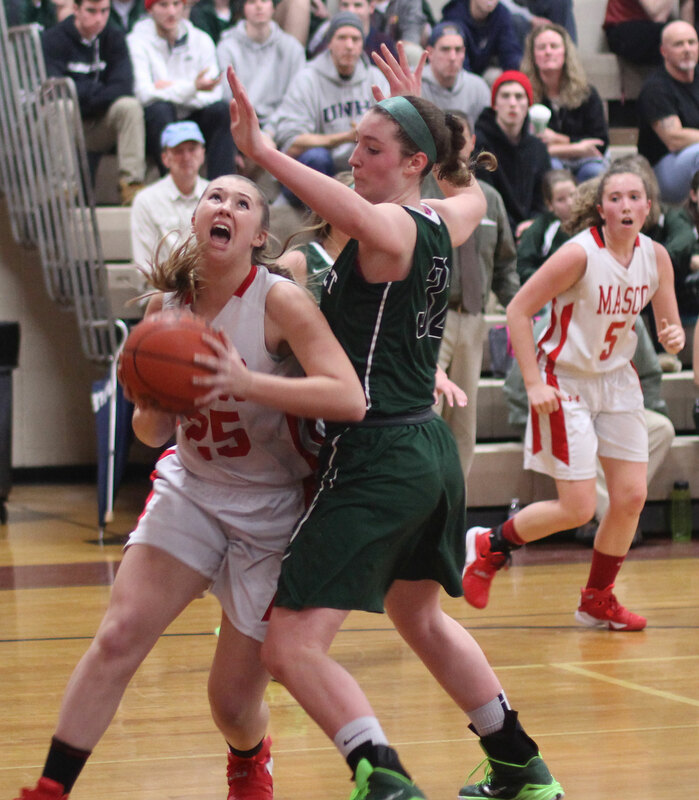 Pentucket had 32 turnovers including this one. 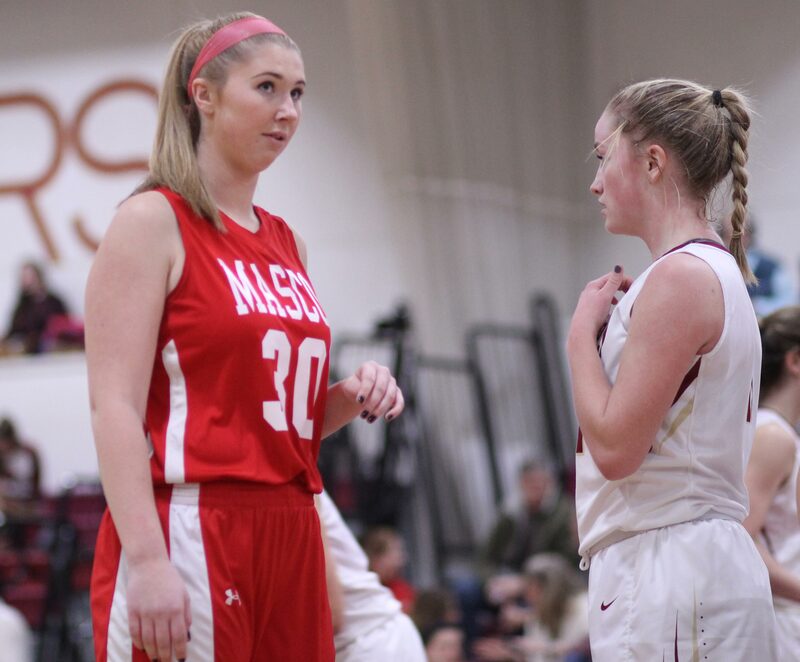 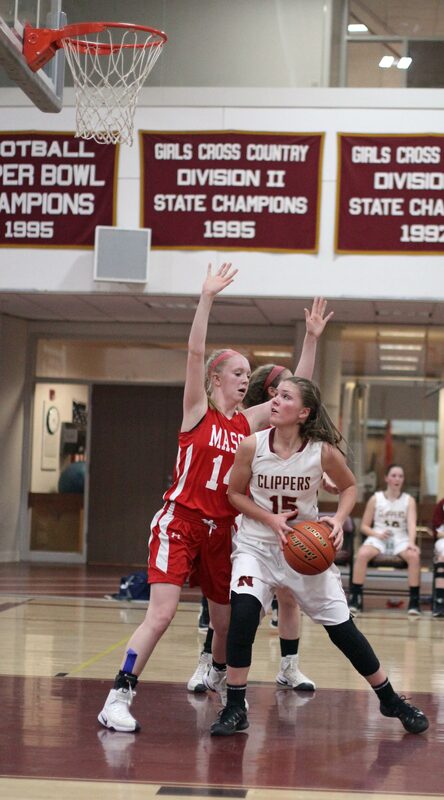 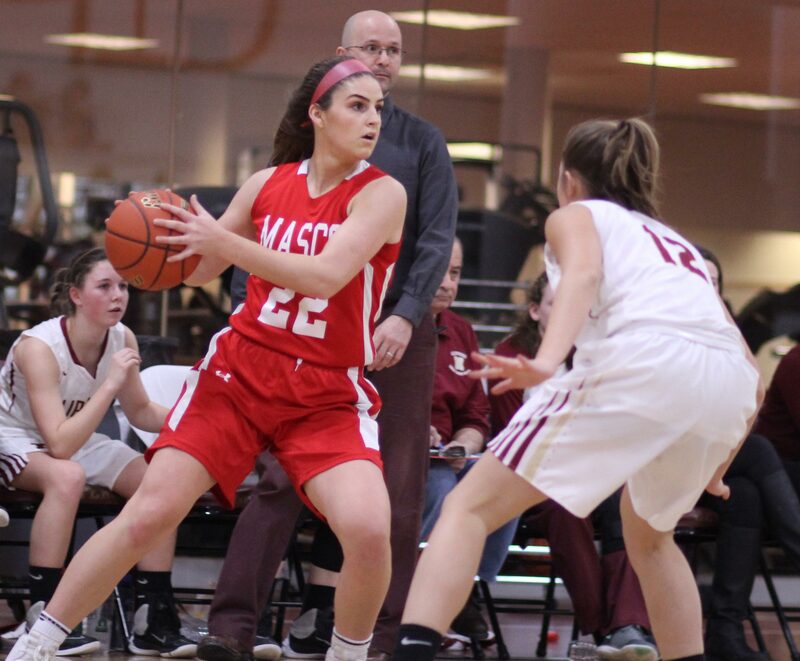 (Topsfield MA) Sophomore Paige Amyouny (23 points/8 rebounds/5 steals) was awesome everywhere leading Masconomet to a surprisingly easy 45-27 win over Pentucket on Sunday afternoon. 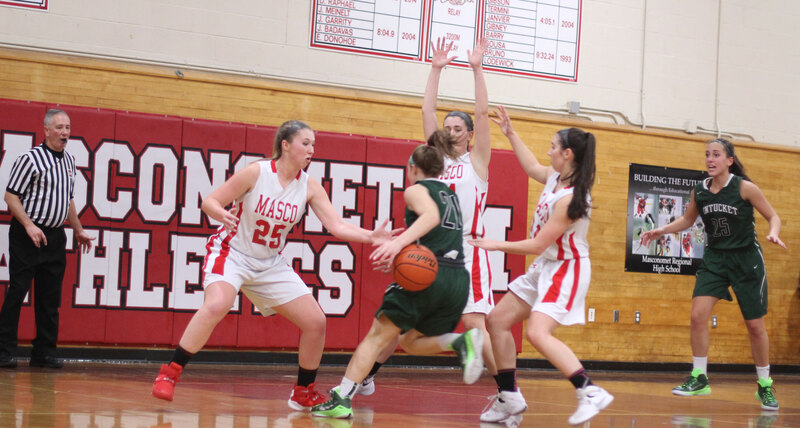 There was plenty of in-your-shirt defense all over the court but on this rainy afternoon it was Pentucket that flinched recording a stunning thirty-two turnovers by my count. 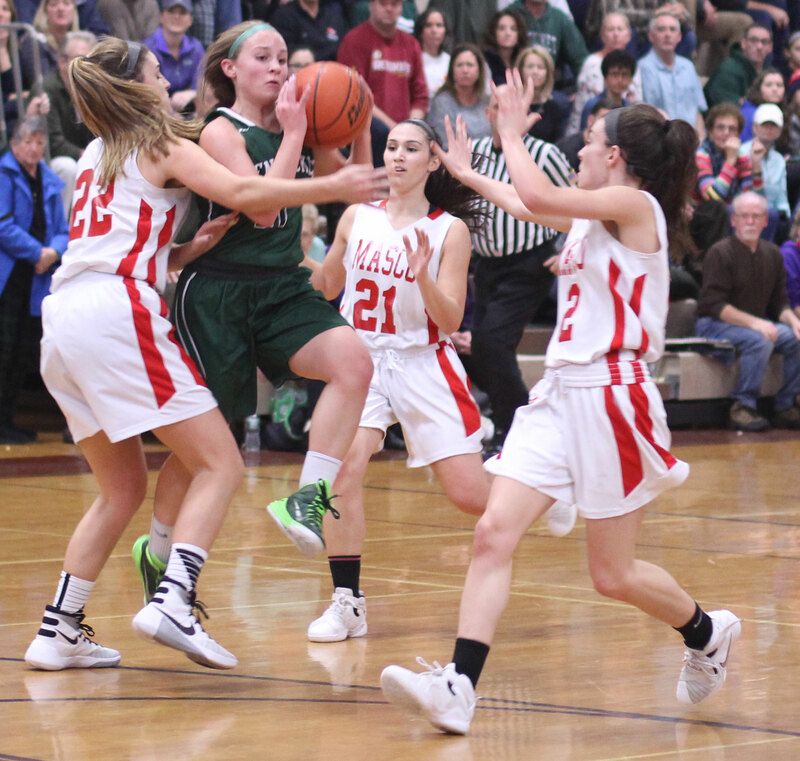 In a 32-minute game that was too many miscues to overcome even for the previously undefeated Sachems (7-1). 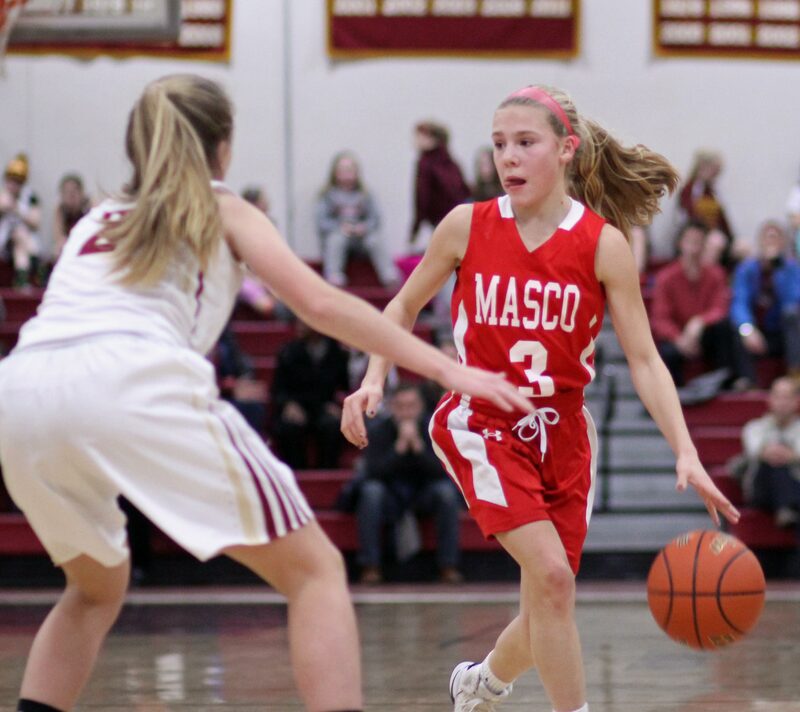 Masco (5-3) never trailed. 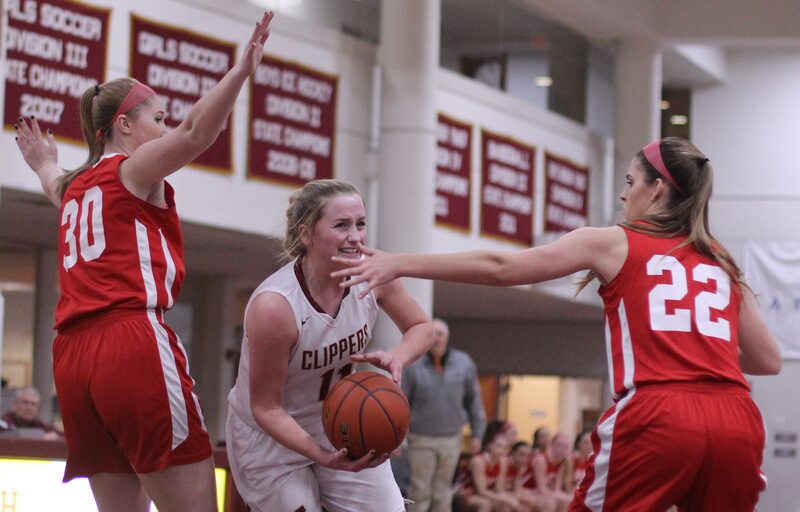 The Chieftains were much better in the offensive end with Paige handling in almost every possession. 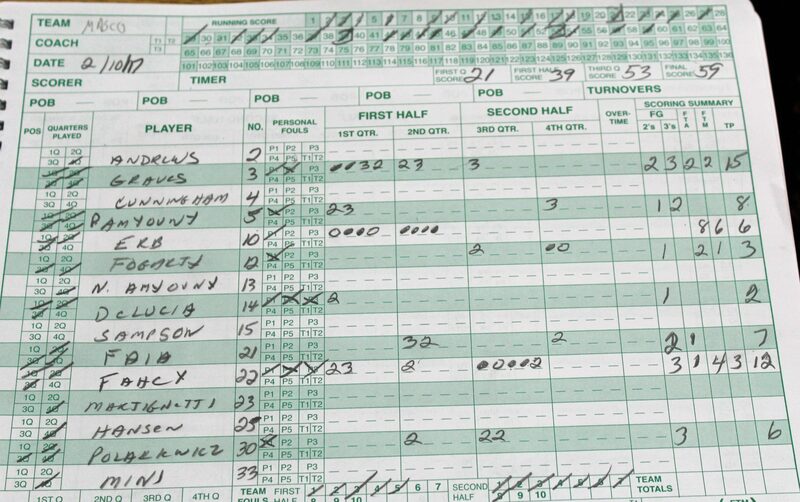 They did have their own troubles with the ball (24 turnovers) but they had enough productive possessions to pull away early from the less-productive visitors. 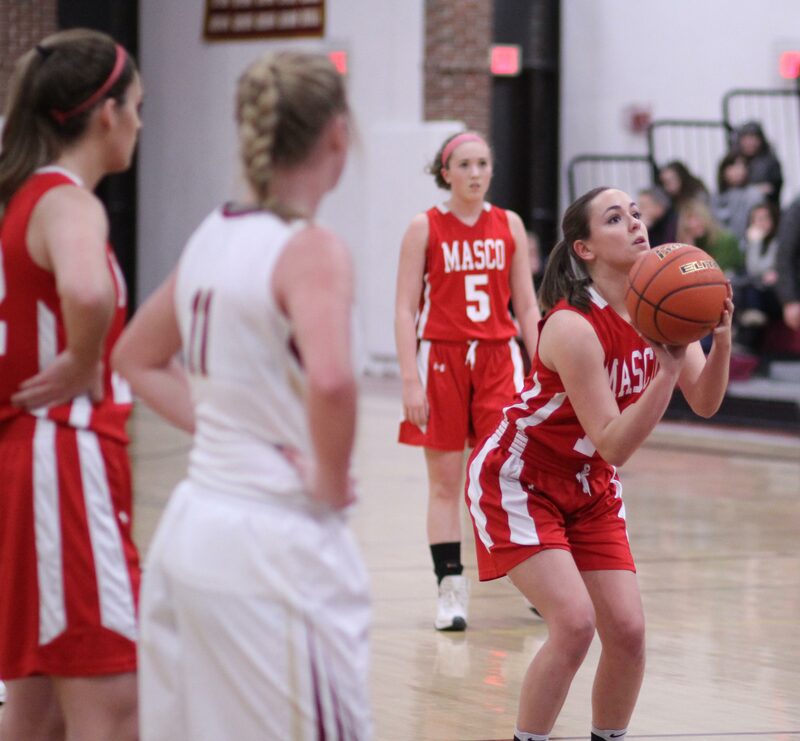 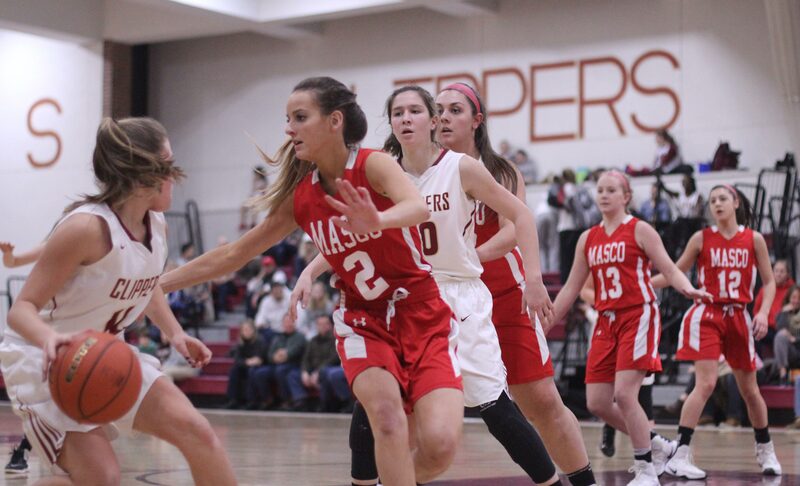 In a low-scoring game, Masco’s six points in the last minute of the first quarter (two layups Paige, one by Kailey Crothers) were big as they put the Chieftains ahead, 14-7. 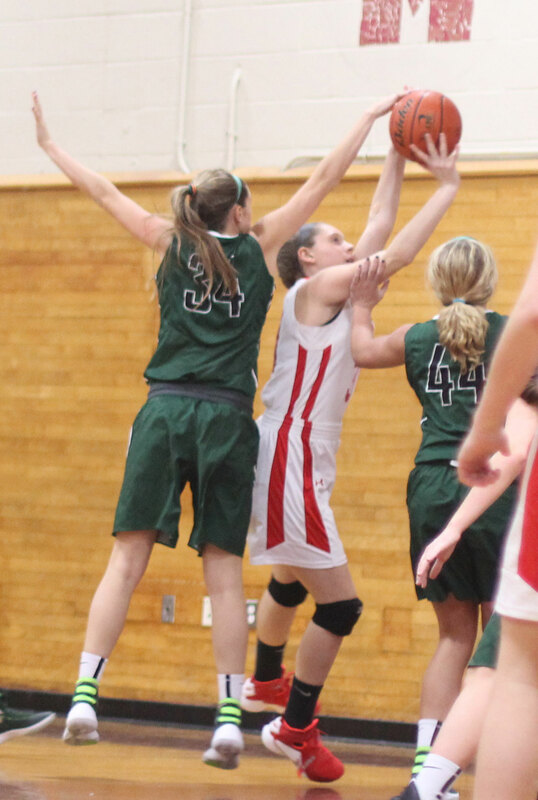 Pentucket was still within comeback range (19-12) with just under three minutes left in the second quarter. 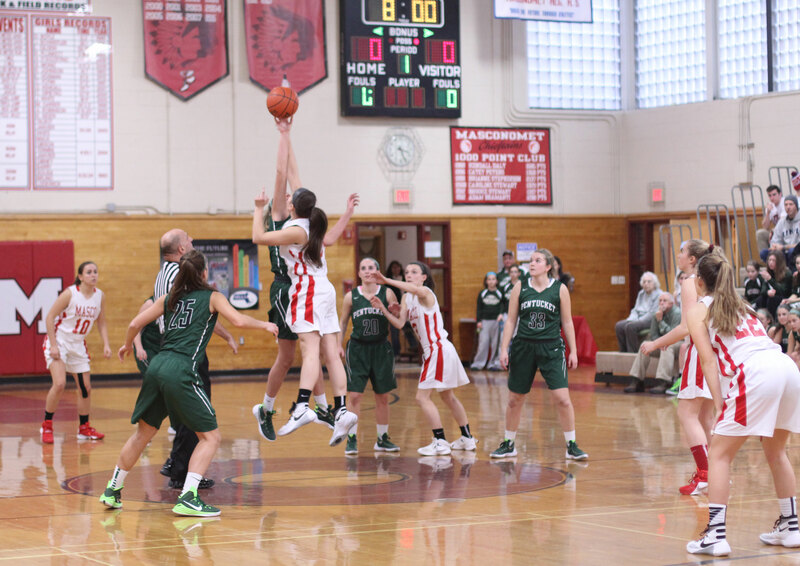 The next ten minutes of playing time, extending into the third quarter, did in the Sachems. 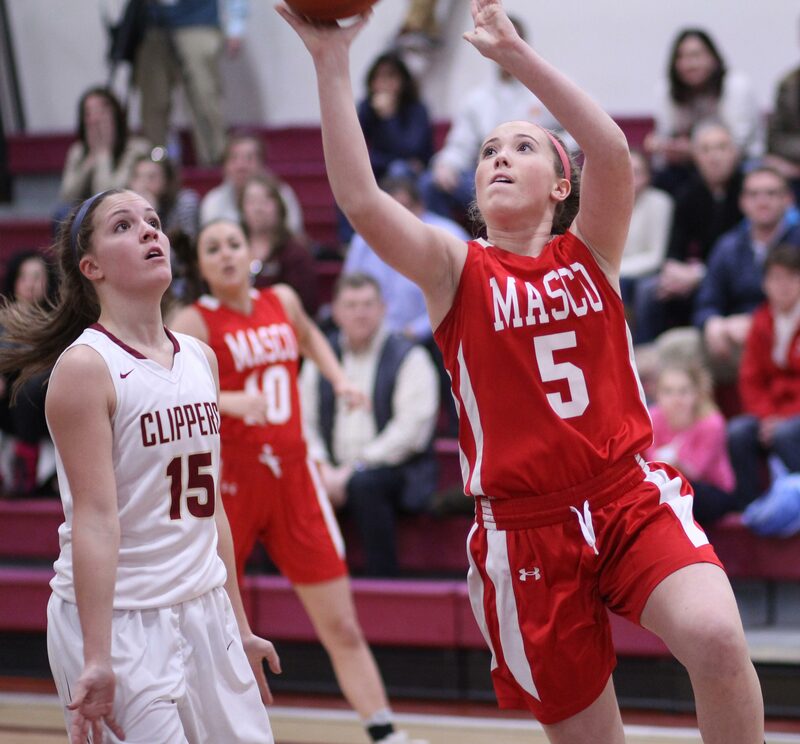 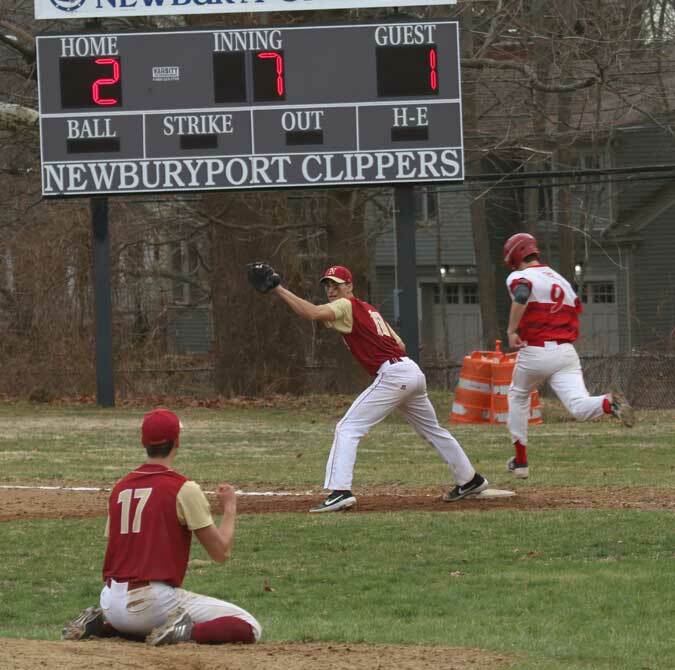 Masco outscored the visitors, 13-1, and the hopes of staying competitive vanished. 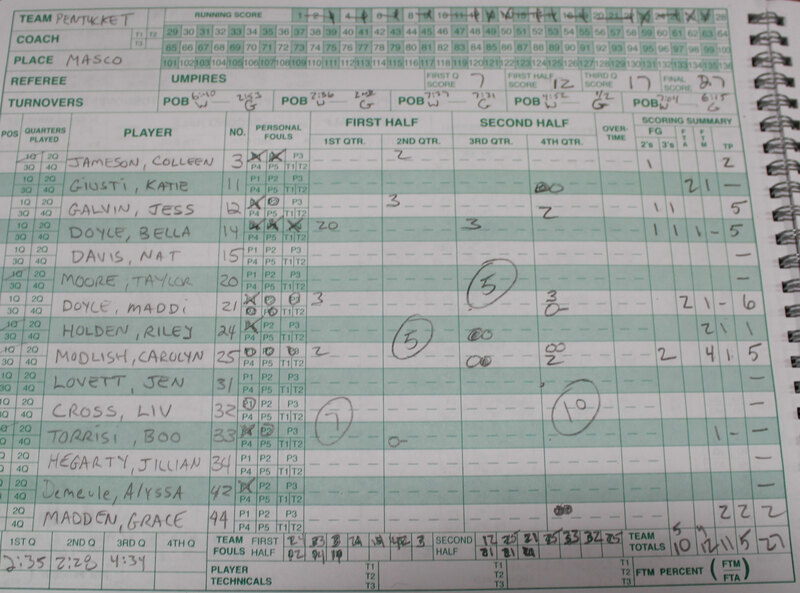 Pentucket had eight turnovers and one Carolyn Modlish free throw to show for the disastrous segment. 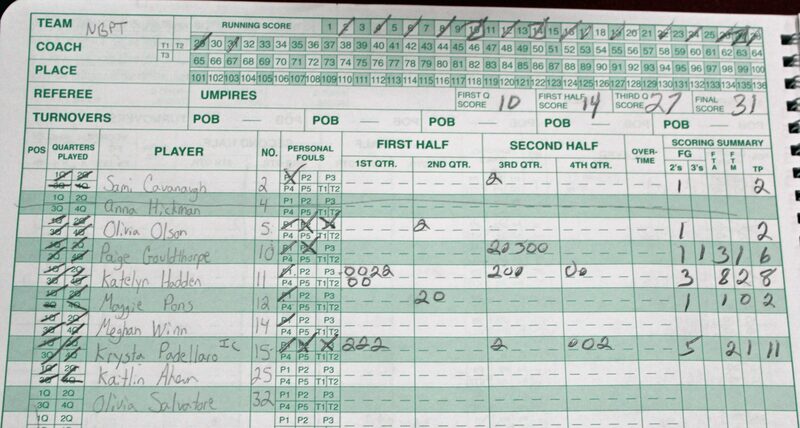 The 32-13 score didn’t lessen the defensive pressure by either team no matter what players came into the action. 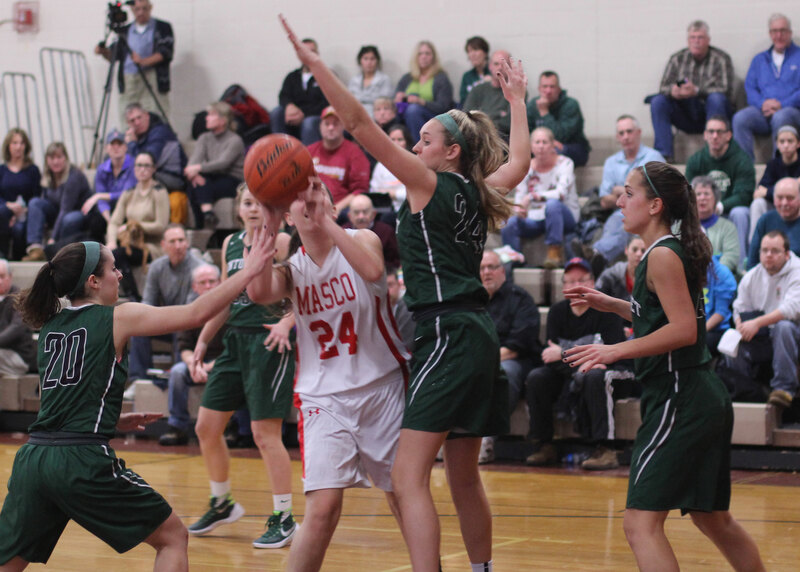 The rest of the way Pentucket did get 3-pointers from Bella Doyle, Maddi Doyle, and Jess Galvin but eight of ten free throws by Masco kept the lead from shrinking very much. 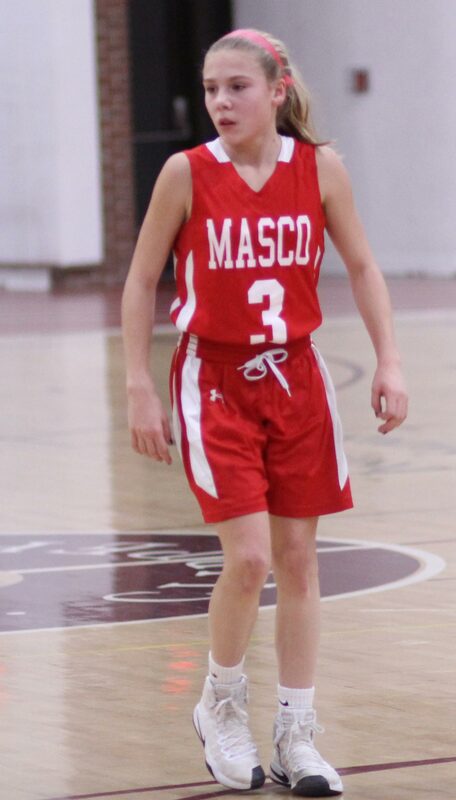 This was my first look this season at either team. 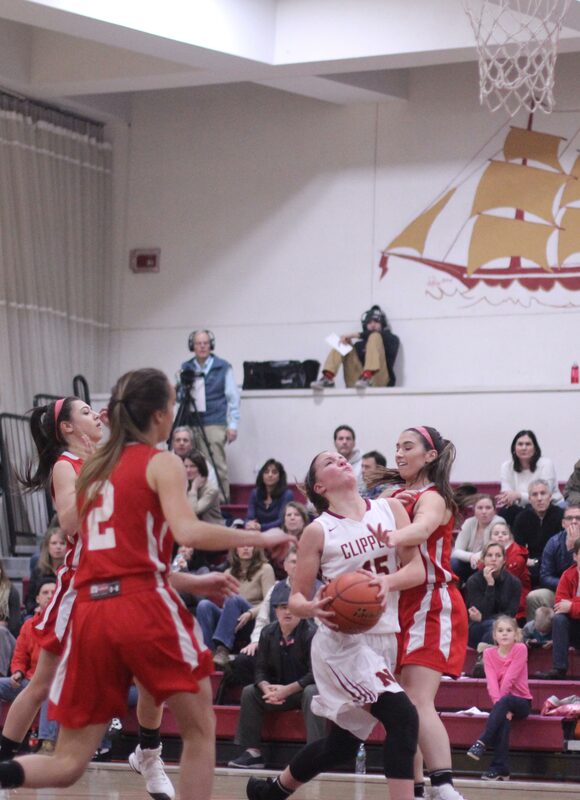 I could really see the value of a go-to player. 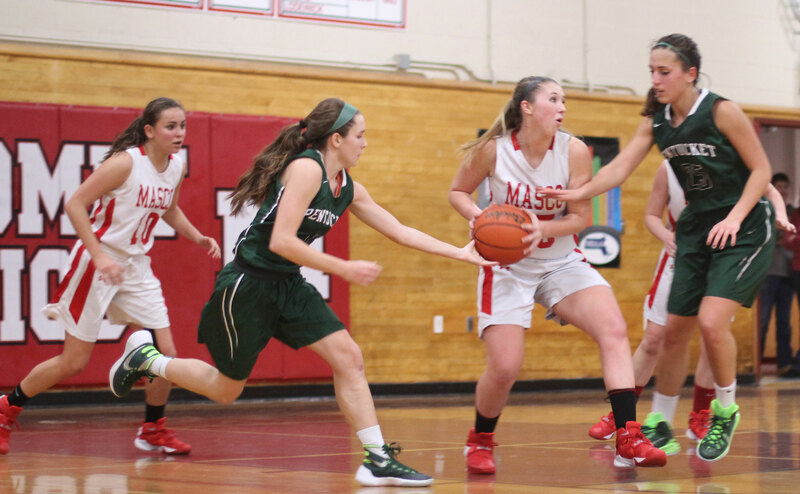 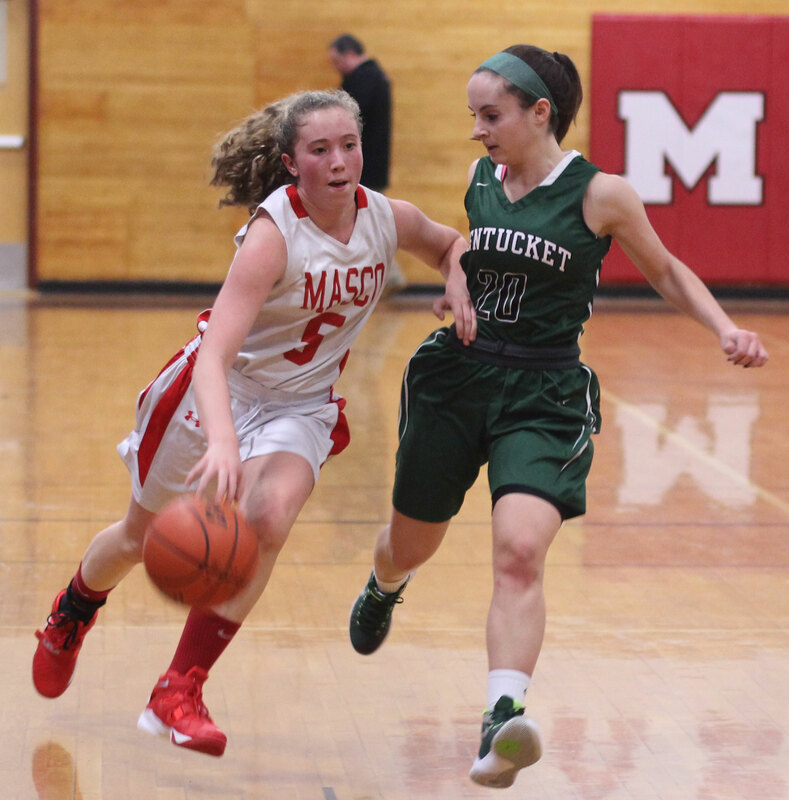 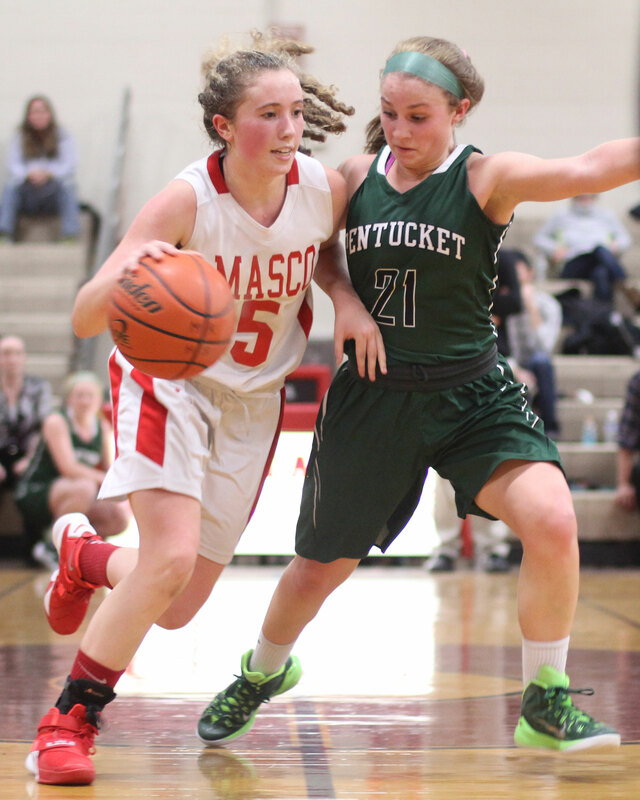 Masco had Paige and Pentucket does not have that player yet. 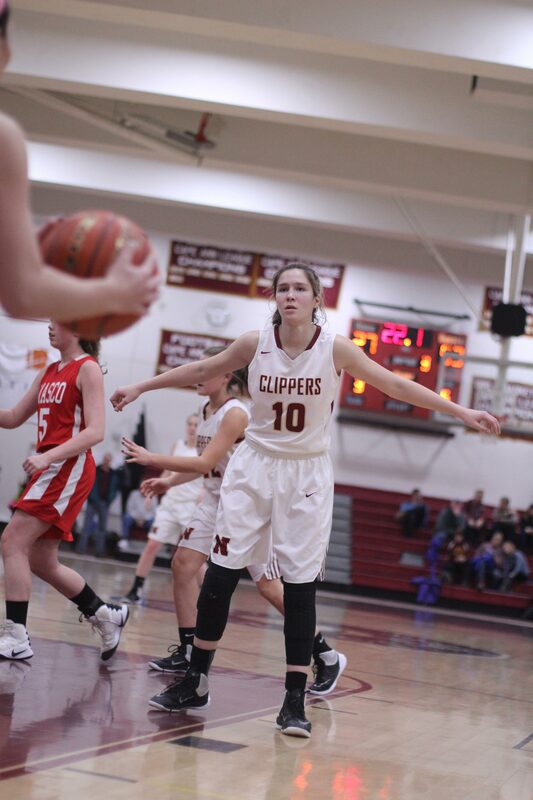 A year ago, Kelsi McNamara would dribble well against pressure, make shots, and get to the foul line. 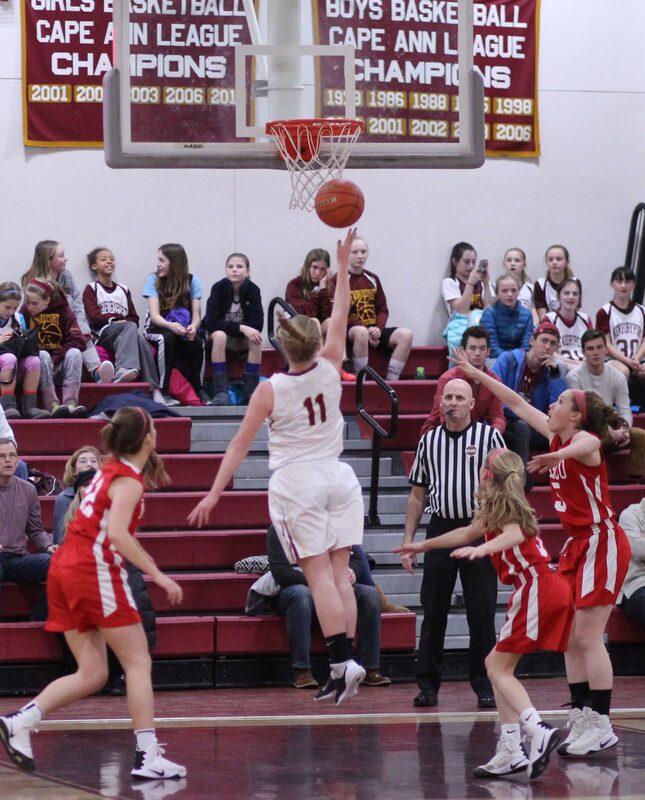 With Kelsi at St. Joseph’s in Standish (ME) the Sachems have to find a replacement when they face the strong defensive teams ahead. 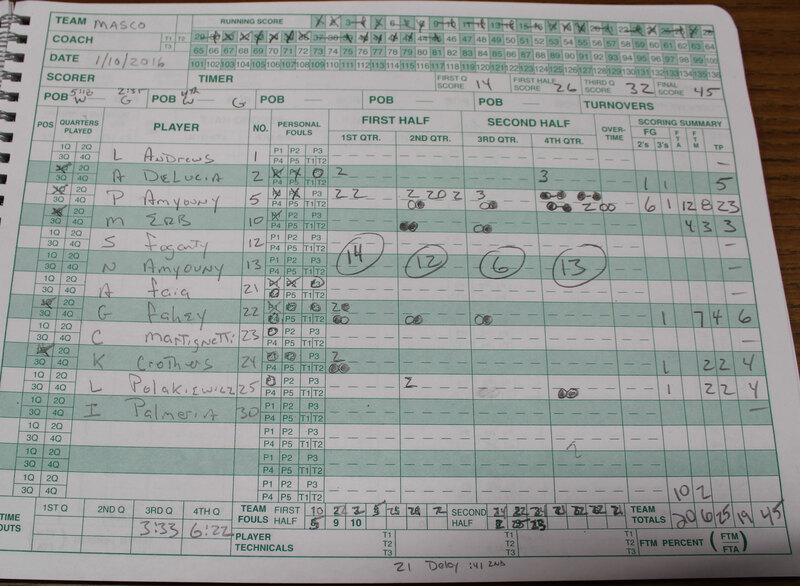 I appreciated getting a stat sheet from Masco GB website director Andy Tapparo. 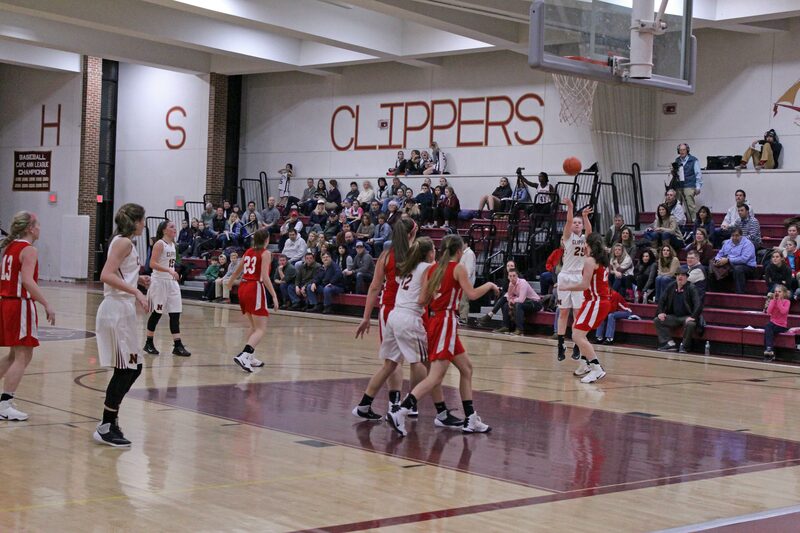 Stephanie Mini was unavailable for this game. 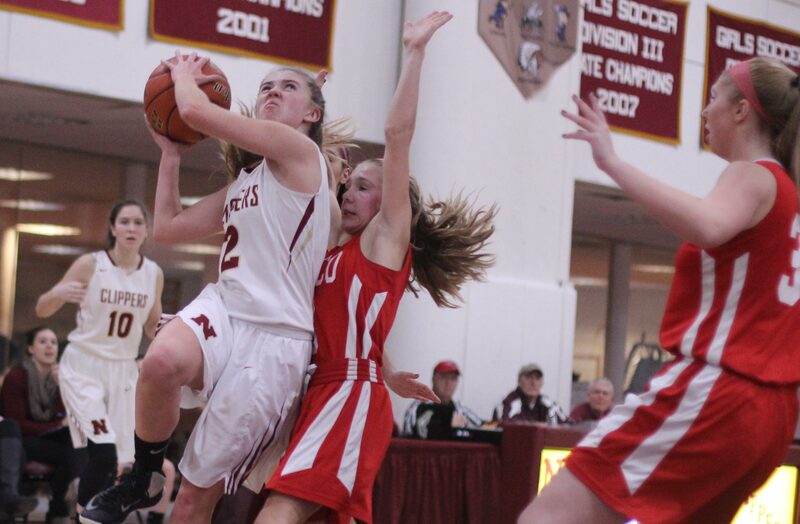 Kailey Crothers had eight rebounds for the Chieftains. 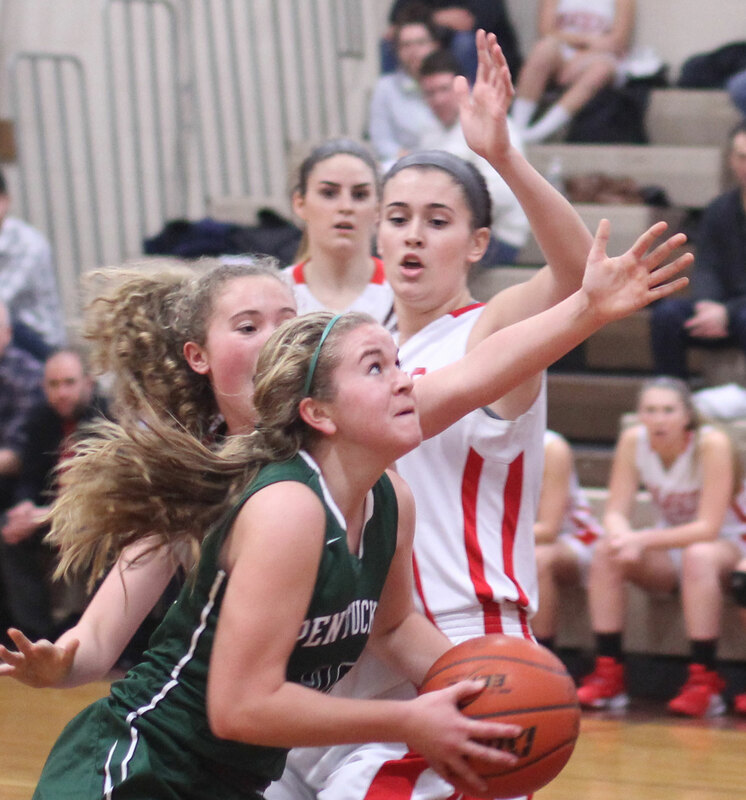 Next for Pentucket is an away game at Georgetown on Tuesday. 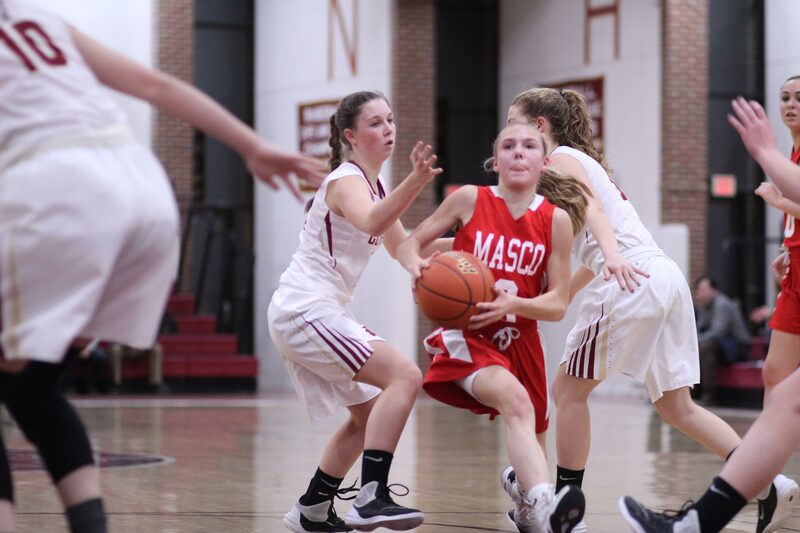 On the same night Masco is at Amesbury. 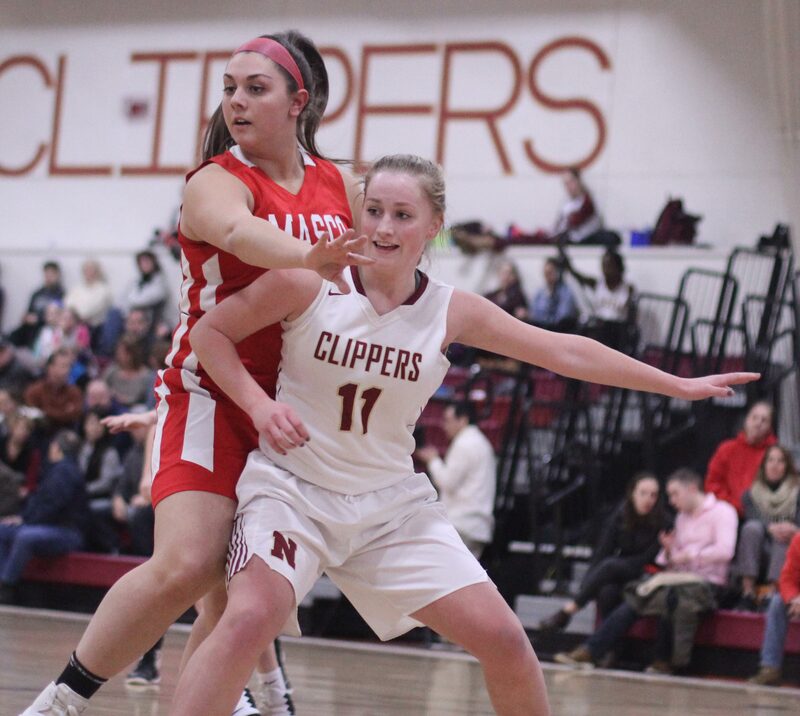 The non-stop energy on the court is this game is certainly no surprise with the non-stop energy exhibited by the two coaches; John McNamara and Bob Romeo.